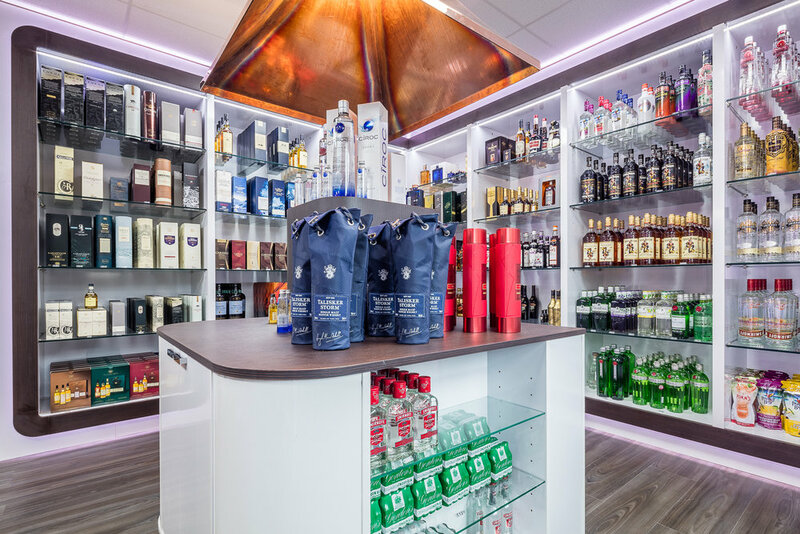 It was not only the staff at Diageo in Elgin that was excited to see their shop re-opened, also here at Amos Beech we very much looking forward to seeing the final result of the fit out job we did in the Highlands of Scotland. 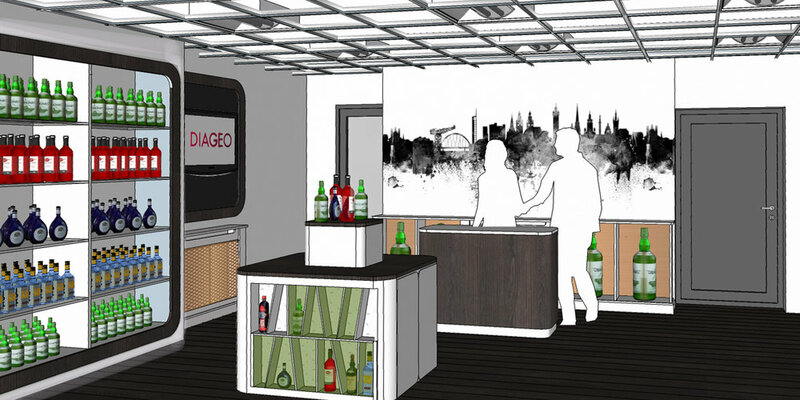 The challenges that this fit out brief included were tight timescales, budgets and a financial year end to boot! 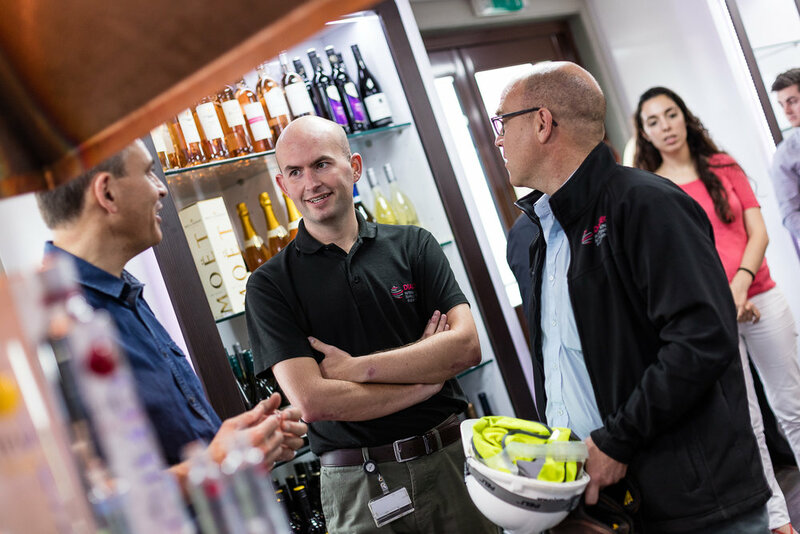 This was a project that had spent some time in the ‘pending’ file of another contractor and Amos Beech were called in to offer a realistic alternative that could actually be delivered on time and in budget. 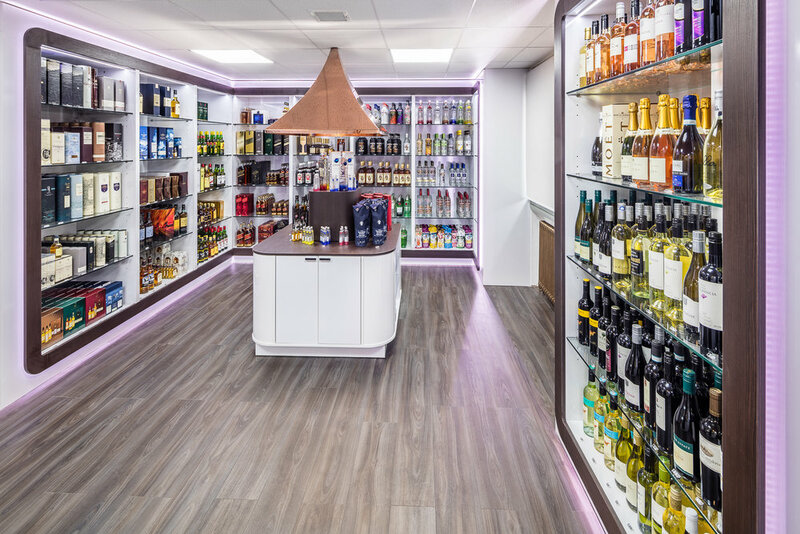 The Amos Beech interior design team went to work with a will; an opportunity to transform what was a dull and dated staff sales shop into something more inspiring was a chance indeed. 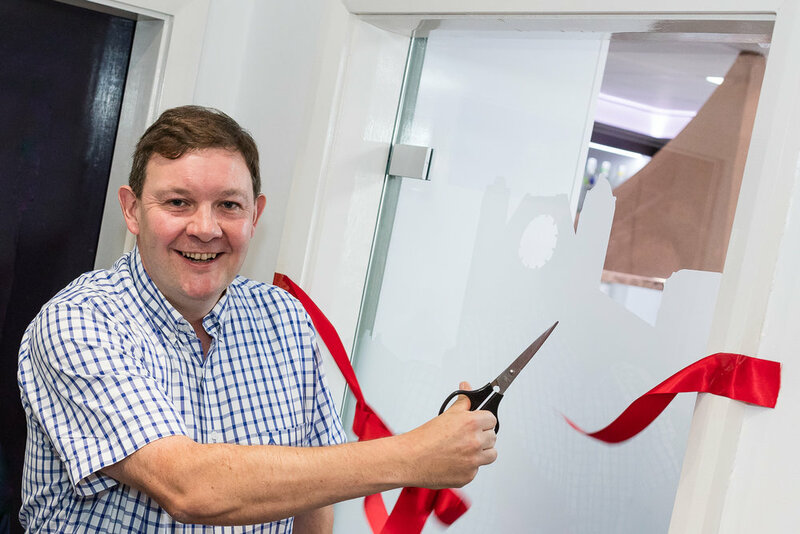 Using their creative skills in conjunction with Roy James and his knowledge of construction methods in timber products the interior design team were able to design an environment that reflected the brief we were given. There was a strong appetite for curved surfaces and an organic feel to the interior. This was something that had been proposed before but the associated costs meant that there was no way it could have gone ahead given the budget available. Curves in manufacturing cost money, so we used some ingenious methods to present a curved appearance without moving away from the constraints of 2D manufacturing techniques. 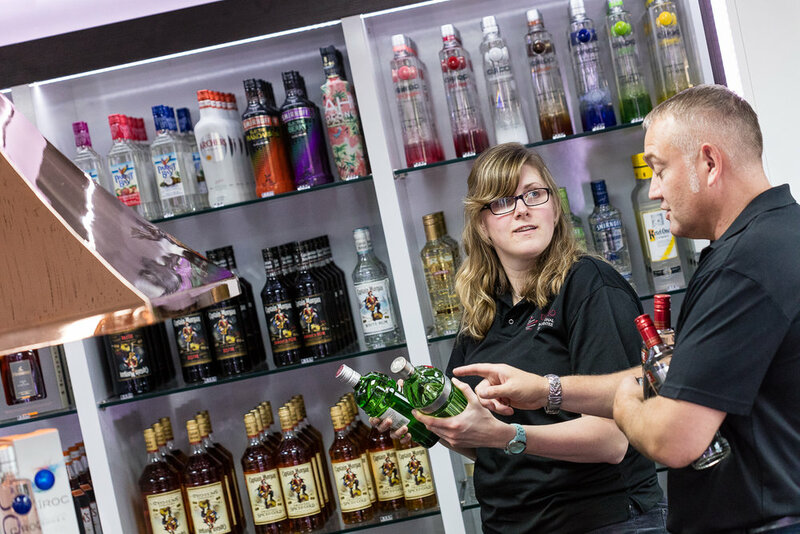 By combining these ideas with the clever use of LED backlighting and along with glass we have successfully transformed the environment and the official re-opening was extremely well attended by both present and past employees. 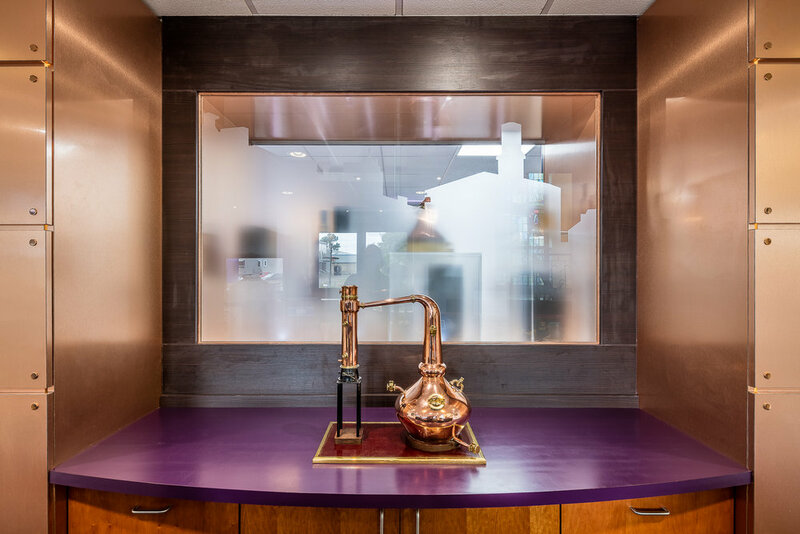 Finishes include polished copper to reflect the distilling heritage. 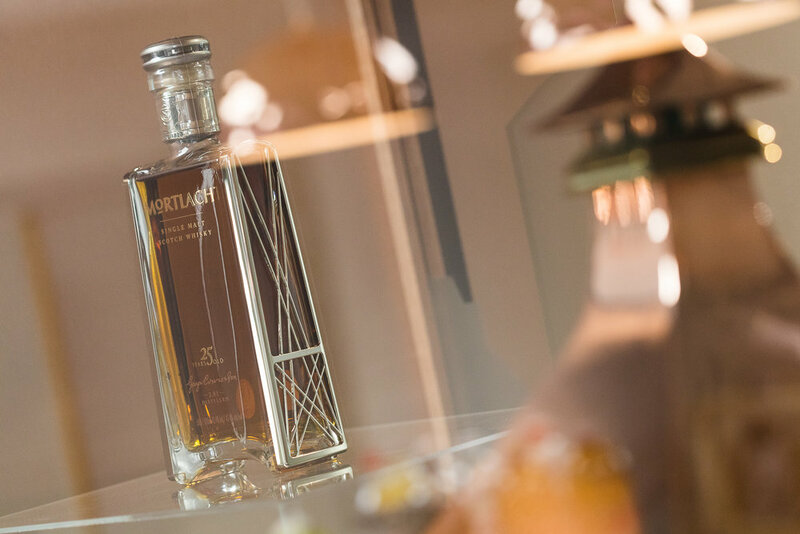 Light has been borrowed from the adjacent reception through the creation of a large display case with glass on both sides and this is now home to some premium brand products that we would all love to be able to afford! 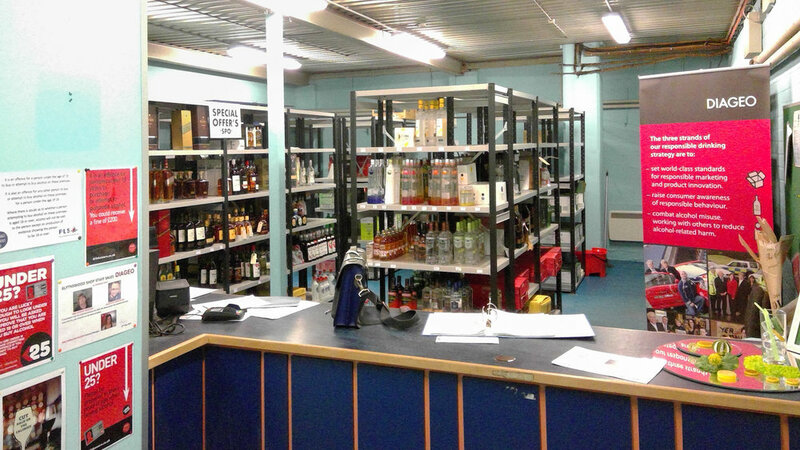 The end result of this fit out project is a bright airy interior with plenty of circulation space whilst providing sufficient shelf space to hold all stock as the idea was to do away with the stock room. This reduced double handling and means that stock takes are now much more easy to do with everything in one place. 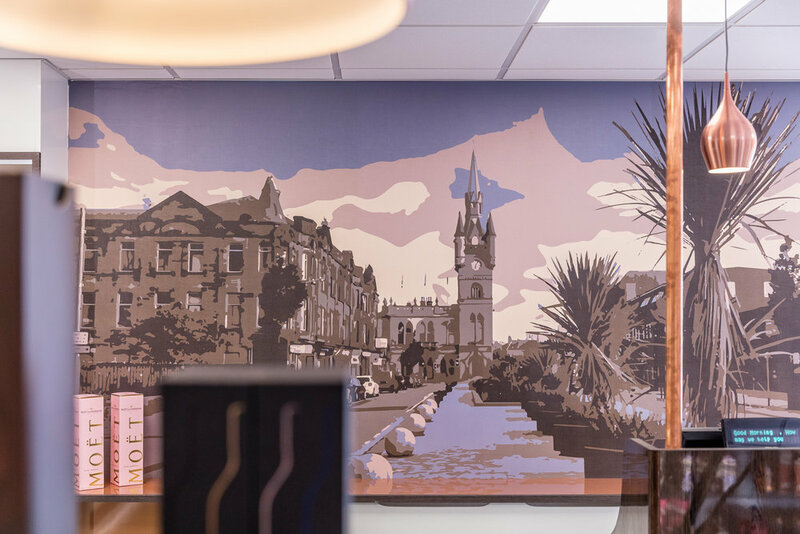 This is a reflection of the Amos Beech approach to interior design – nothing is there without a reason and everything is designed to improve the way our clients’ business works.